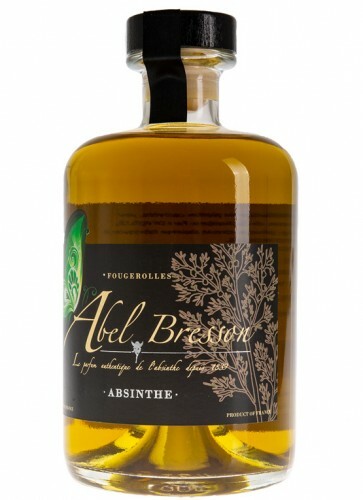 Absinthe Abel Bresson is a spirit with an interesting story to tell. 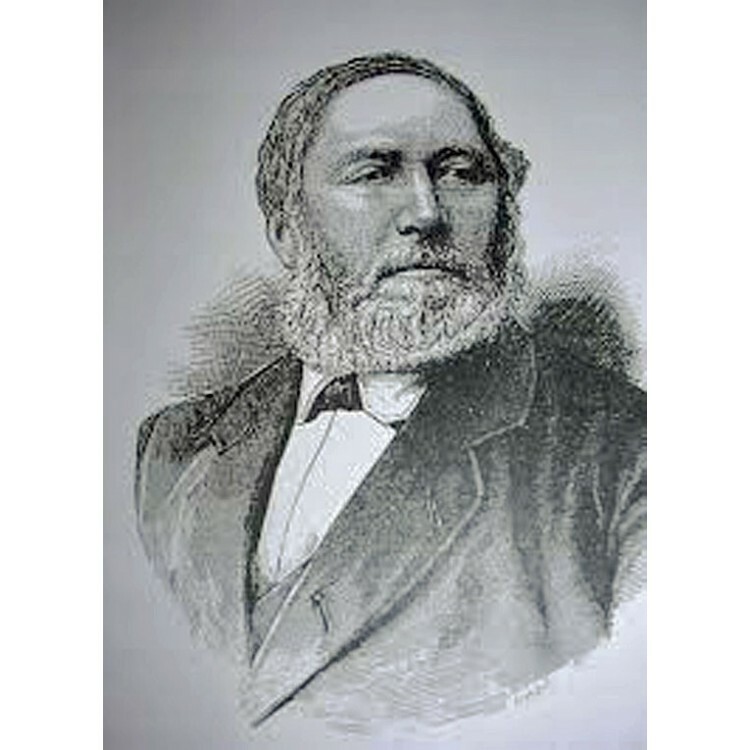 Mr. Bresson lived in the mid 19th century and it was him, who founded the first distillery in Fougerolles in 1839. The company quickly developed into the market leader for aperitifs and digestifs in France. 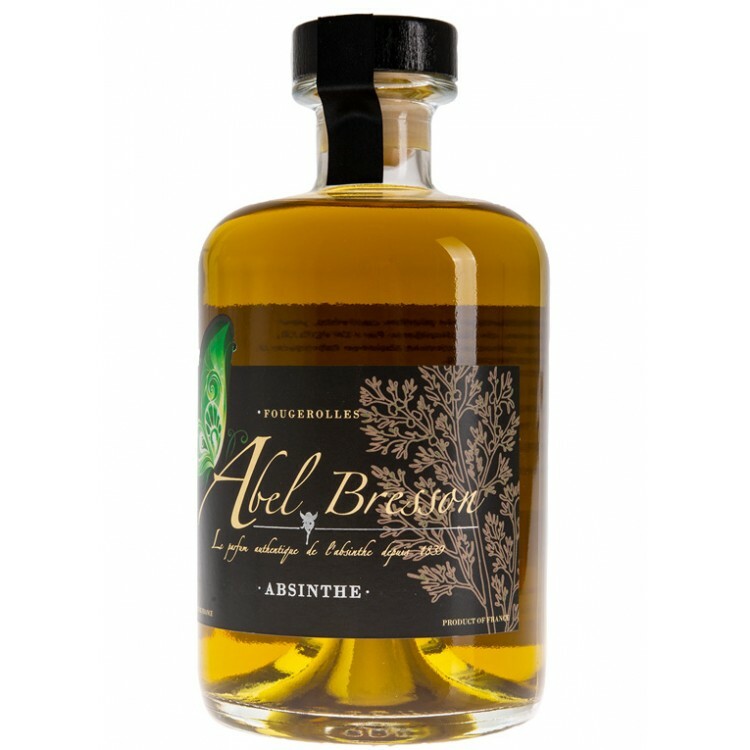 Absinthe Abel Bresson is a spirit with an interesting story to tell. Mr. Bresson lived in the mid 19th century and it was him, who founded the first distillery in Fougerolles in 1839. The company quickly developed into the market leader for aperitifs and digestifs in France, so that he founded further distilleries in Dijon, Ivry-Port, Beaucaire, Saverne and even in Algir and Oran in Algeria. He also bought the two distilleries of Edouard Pernod in Pontarlier and Couvet. 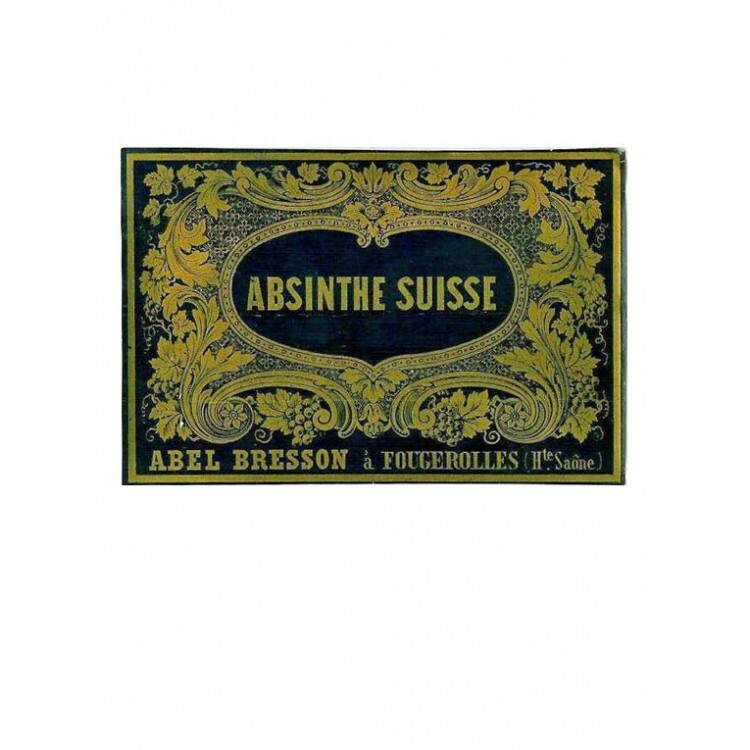 The recipe for this contemporary version of Abel Bresson Absinthe is the same as the historical original of 1839. The sweet notes of anise and fennel nicely level out the bitter wormwood components. Coriander, calmus, lemon balm, angelica round off the taste with a spicy touch. The natural colouring based on small wormwood, hysop, lemon balm and nettle add some more complexity. We recommend to drink this Absinthe with one sugar cube and three parts cold water. 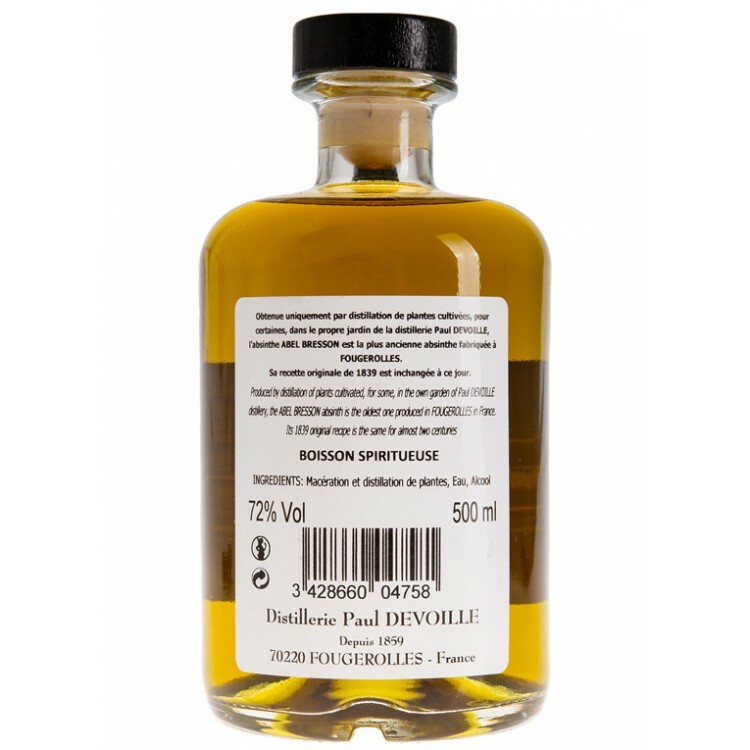 This offering from the Devoille distillery is great! Very herbaceous and creamy. I'll be getting more.